Welcome To Swamp Road Wood Works, a one person woodworking shop located in the Berkshires of Western Massachusetts in the hilltown of Worthington. 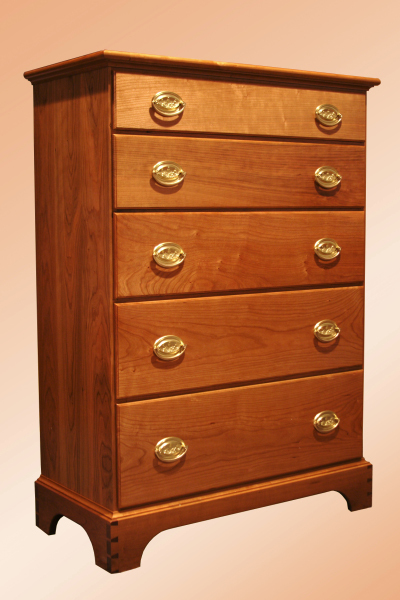 SRWW is the home of Chiefwoodworker (aka Joe Zeh) and Chiefwoodworker's Blog. I am a cabinetmaker and I build handcrafted custom or reproduction furniture as a hobby. I maintain this site for two reasons. First to display and document my work. Woodworkers are like artists. We love to display our craft. I also dream one day, several hundred years from now, someone will admire one of my pieces and will wonder about the craftsman who created it. Maybe he or she will stumble on an archived version of my website. Hey! One can dream. Secondly and more importantly, I want to connect with other cabinetmakers, both hobbyists and professionals, who love furniture making and want to share ideas and their craft. I will continue to expand this site adding new features of interest. I recently added a Blog intended to make SRWW interactive. 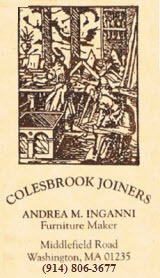 Check out Chiefwoodworker's Blog page. Here is what you will find in Swamp Road Wood Works. Click the About page for more on myself, my work and this website. To see a sample of my work click the Gallery page. Under the Workshop menu you will find a Shop Layout and Shop Tour. As indicated by their names these pages give you a detailed layout of my shop and a picture presentation tour. Woodworkers are sure to find this interesting. See pages Shaker Tall Clock, Six Pane Oak Hutch, Office Table and Shaker Style Chain Driven Wall Clock for a view into my craft and art of building handcrafted custom furniture. 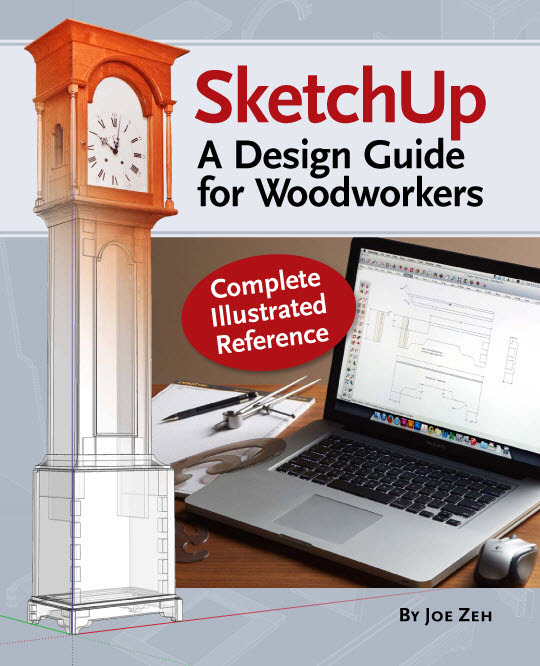 A SketchUp menu provides links to information about Google SketchUp, the free 3D drawing application that is a must for any woodworker. 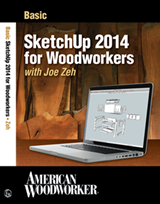 Also on the SketchUp menu are links to free tutorials on how to use SketchUp. There is a Beginner's Tutorial, an Intermediate Tutorial and more. Be sure to check these out. 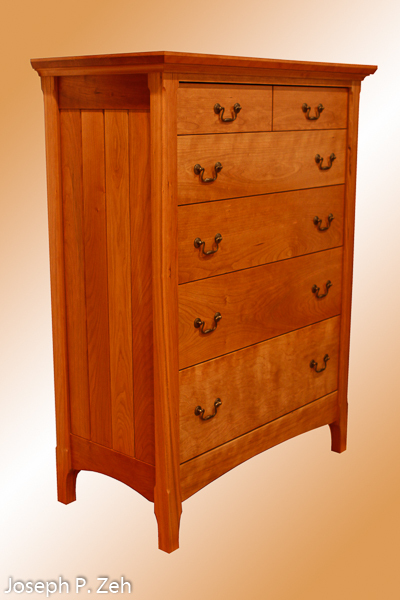 Free plan(s) or model(s) for any piece(s) in my Gallery can be downloaded from the SketchUp Furniture Plans page. You can also get a copy of my Shop Layout drawing on this page. I will, from time to time, review tools (hand tools, software tools and power tools). Those can be found under the Tools menu. If you want to discuss any aspect of woodworking or have any questions about anything you see on my site you can reach me by clicking on Contact. Please visit my Feedback page and let me know what you think; complimentary or critical, all feedback is useful for improving my website and blog. Thank you for visiting my site. I hope you found it useful and informative. Copyright © 2007-2014 Joseph P. Zeh, Swamp Road Wood Works & Chiefwoodworker's Blog. All Rights Reserved.